Newcomer Family Obituaries - Tina Kay Smiley 1958 - 2019 - Newcomer Cremations, Funerals & Receptions. Life Change Church 701 Chamber Dr, Milford, OH 45150. 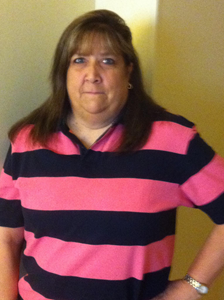 Smiley, Tina Kay age 60, of Cincinnati, Ohio passed away on Sunday, March 17, 2019. She was born in Xenia, Ohio on September 28, 1958 to Robert Lynn and Marcia Geraldine Keller (nee Brock). She was preceded in death by her father, Robert Lynn Keller. Tina is survived by her children, Kendra Smiley, Nicholas (Brooke) Smiley; mother, Marcia Geraldine Keller; grandchildren, Destiny Pates, Leah Bouldin, Kadence Bouldin, Tristyn Smiley, Taylor Smiley, Nicholas Smiley, Jr.; siblings, Robert Lynn (Debby) Keller, Jr., Dawn Alisa Keller-Mitic; best friend, Cheryl Schatzman; and a host of other family members and friends. In loving memory of Tina, contributions may be made to Life Change Church. A visitation will be held on Thursday, March 28, 2019 from 4:30 pm to 6:30 pm with a Memorial Service to immediately follow at 6:30 pm at Life Change Church 701 Chamber Dr, Milford, OH 45150. To share a memory of Tina or leave a special message for her family, please click the Share Memories button above. Add your memories to the guest book of Tina Smiley. My sincere condolences to Kendra, Nick and all of Tina’s grand kids. She was an amazing person! Funny, kind and loving. I enjoyed the time that I had with her and I regret not staying more in touch with her. I know she will always be watching over all of you. To Tina's Family and Friends, You have our deepest sympathies for the loss of your Loved One. May your memories of her bring you comfort in the coming days. Kendra, I met your Mom through my job at LensCrafters and found we had common friends. Your Mom was one of the most positive and upbeat people I have ever known. Her family was her world. Know she will always be with you. Tina was my mentor and boss at Children's Hospital . She was also a funny and loving person. Tina will be missed so much I was glad to have her in my life, Tina was always on the go . She was a good person and good friend May god bless her family with this loss. RIP TINA YOU WILL BE MISSED. I could not be more grateful that I was able to get to know Tina before her passing. She was kind, genuine and so loving to say the least. She loved God, her family and her church above all. It was a privilege to get to know the woman who raised one of my best friends. She helped turn him into the amazing man, husband and father he is today. Rest In Peace Tina. Love,M.